From gardening tool handles and small flashlights to brooms and dustpans, these spring-loaded storage clips make organizing your frequently used tools simpler than ever before. With the provided screws and a Phillips screwdriver, these grips take just minutes to mount on the wall and are easy to use: the spring gripping mechanism holds items firmly in place, yet readily releases them when they're needed. Columbia Forest Products' SmartTop shelving boards are coated with a unique, hard-wearing surface that resists abrasion, gouging, fading and temperature fluctuations, for years of worry-free performance and easy maintenance. Edged on the front side just cut to length and hang! If you're wondering where to store all the stuff that seems to accumulate in your basement, garage, attic or garden shed, this giant 11-inch storage hanger is the answer you need: made from sturdy steel tubing for strength and coated to fight off corrosion, it mounts quickly with a couple of screws (not provided) and some basic tools most everyone has on hand. Able to support up to 20 pounds (9 kilograms), this multi-purpose hanger can neatly store everything from sports equipment and toys to tools and garden furniture in a jiffy. It makes being organized easy. The Gladiator Golf Caddy organizes your golf equipment so you ft.re ready to hit the links at a moment ft.s notice. There ft.s room for two oversized golf bags, plus extra storage for golf balls. The lower shelf lets you keep your golf shoes with the rest of your stuff. 7/8-inch Spring-Loaded Storage Grips (2-Piece) From gardening tool handles and small flashlights to brooms and dustpans, these spring-loaded storage clips make organizing your frequently used tools simpler than ever before. 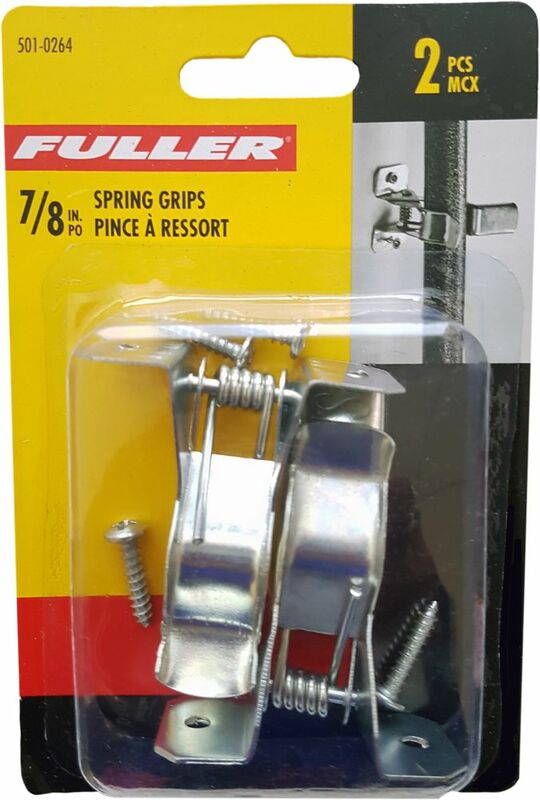 With the provided screws and a Phillips screwdriver, these grips take just minutes to mount on the wall and are easy to use: the spring gripping mechanism holds items firmly in place, yet readily releases them when they're needed.